Semi-truck Crash Partially Closes Road in Martin County | Schuler, Halvorson, Weisser, Zoeller & Overbeck P.A. A Tractor Trailer accident has partially closed Pratt Whitney Rd. in Martin County. 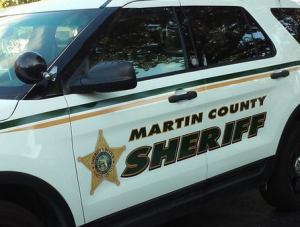 According to the Martin County Sheriff’s Office, the crash involved one vehicle and a semi-truck. The crash occurred approximately 3 miles north of the County Line and Hungryland Area. First emergency responders arrived at the site of the crash soon after the accident happened. An air rescue landing from a trauma helicopter has led to a partial roadblock. Injured victims were rushed to a nearby hospital. This is a vehicle crash with injuries as reported by the Sheriff’s department. The cause of the crash is still under investigation at this time. Pratt Whitney Road is partially closed at the moment due to the severity of the crash. Vehicles on this route are pulling to the roadside to allow crews work. Some are pulling into nearby side streets. The delay of traffic on this route is due to the severity of the crash. It is best to use an alternative route such as Bridge Road. Attorney Jason Weisser of Schuler, Halvorson, Weisser, Zoeller and Overbeck responded about the crash. “Cases involving accidents with commercial trucks are always subject to heightened scrutiny because of the additional regulations placed on drivers of those vehicles. Unfortunately in our practice, we have seen numerous instances where drivers blatantly violate these regulations, which results in catastrophic consequences”. Most deaths in large truck crashes are passenger vehicle occupants. The main problem is the vulnerability of people traveling in smaller vehicles. Trucks often weigh 20-30 times as much as passenger cars and are taller with greater ground clearance, which can result in smaller vehicles actually going under the truck in a crash. Truck braking capability can be a factor in truck crashes. A tractor-trailer that has a heavy load takes 20-40 percent farther than cars to stop, and the discrepancy is greater on wet and slippery roads or with poorly maintained brakes. Truck driver fatigue also is a known crash risk. Drivers of large trucks are allowed by federal hours-of-service regulations to drive up to 11 hours at a stretch. Surveys indicate that many drivers violate the regulations and work longer than permitted. The post Semi-truck Crash Partially Closes Road in Martin County appeared first on Traffic Center.